Simply enchanting!! 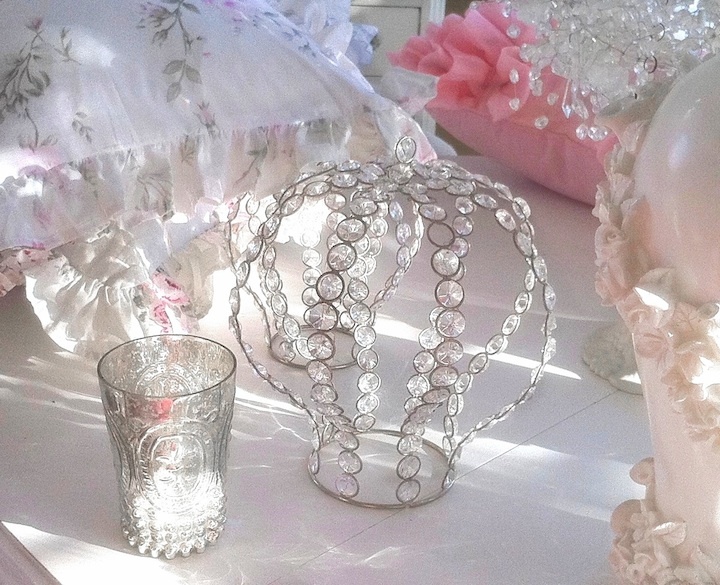 This beautiful crown is filled with faux crystal prisms that sparkle and shine in the light. This gorgeous vintage charm crystal prisms crown is stunningly beautiful. Two sizes to choose from! The smaller size measures approximately 7 inches tall with a 3 inche opening at the bottom. The larger size measures approximately 9 inches tall with a 4 inch opening at the bottom. 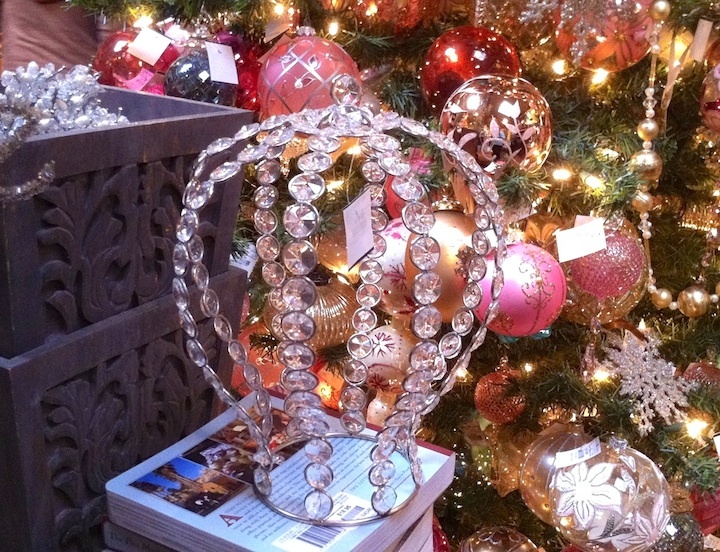 This brand new crown decor is the ultimate accent for Romantic Shabby Cottage Chic Homes at Christmas time for the Holidays! So much sparkle, glitz and glamor!! Definitely Romantic Shabby Vintage Charm! Reminiscent of the vintage holiday decor that we loved as children, and reproduced to bring that yesteryear charm to our home! Beautiful in any setting - antique, vintage or new! A wonderful added touch this holiday season or any time of the year.